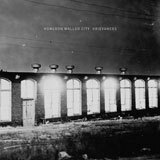 Chicago’s Kowloon Walled City have been plying their sludge tinged, post metal trade since 2007, but three albums and a string of demos, splits and EP’s have seen them maintain an unshakable sense of self, a core sound that persists throughout each release, tying them together. Some would stretch that metaphor to include comparisons to ‘safety ropes’ or ‘anchors’, accusing any band who display even a modicum of consistency of complacency or lack of original thought. But Kowloon Walled City aren’t complacent, or unoriginal. True, latest release Grievances and its predecessor Container Shipsmight both mark steps away from their original formula that came together so expertly on debut Gambling On The Richter Scale, but neither is a misstep by any means. Grievances, then, is very much akin to Container Ships, featuring many of the same stylistic flourishes and themes, but is still sufficiently different so as to save it from being consigned to the annals as a ‘part two’. From the bright, picked intro notes that give way to the warmer, fuller chords of opener Your Best Years, it’s clear that Grievances is, to a certain degree, ‘business as usual’ for the four piece. The same landscapes of soaring, held chords, stark dynamic shifts, deliberately paced drums and grunting, powerful bass are here, but they’ve clearly worked to refine and distil their purest essence. The title track itself is a slower, more melancholy affair, all sombre riffs, focussed repetition that sees organic change and subtle derivation. Scott Evan’s vocals act as a focal point, clearer than ever before but still with that desperate urgency. Things slowly climb to a head-nodding peak, with a satisfying, rhythmic certainty. The Grift is arguably as close to Gambling On The Richter Scale as the band venture, jamming in immediately with a swinging, constantly moving riff that runs into a hard edged, irresistible groove with a sense of lumbering threat, forever just outside your peripheral vision. True Believer features a jarring, skittering sense of mounting paranoia, strung out over a shoegaze-laced crawl, with huge, chunky bass work permeating it all. Closer Daughters And Sons slowly climbs through several jangling riffs, reaching towards a cold, clear light that the rest of the album tries to convince you is merely illusion. There’s unfettered positivity in the driving, climactic lines and ragged vocals, before a false stop, then everything ending on weary, road worn melodies and lush, blooming chords. Overall, this is the sound of a band continuing to look inwards, to strive to express their core tenants in the clearest terms. At a ‘mere’ seven tracks it arguably seems a little on the light side, but perhaps more would have robbed the record of some potency. This is not the Kowloon Walled City record, the vital, must have pinnacle, but when it stands as part of such a consistent, inspired trifecta, few can argue with its’ overall importance.